Just wanted to say big thanks for making the order process and updates on delivery so good. Love the updates on delivery and the constant feedback... fantastic service, just wish they would install themselves as quickly and as efficiently as you delivered...! 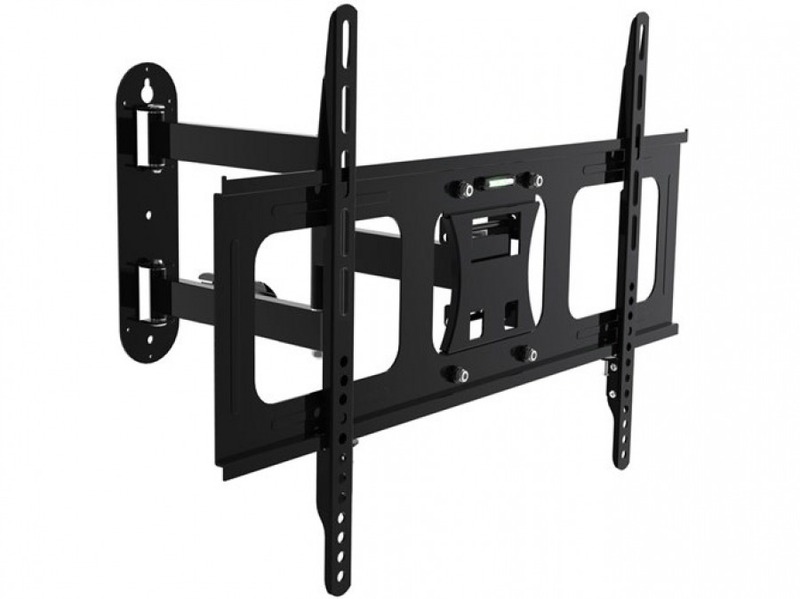 Premium Universal TV Wall Mount Bracket with Extendable Dual Pivot Arms & Tilt (35kg) + FREE SHIPPING! Easy, single-stud mounting solution for TVs up to 70" / 35kg. You have a medium to large screen LCD / LED / OLED flat panel, and you want to mount it on the wall of your home theatre without losing any accessibility, functionality or versatility. Fantastic! I can totally help you out with that wish, and I won’t need to break out my bottled genie to do it! Finished in a black powder coat, the steel construction of this Premium Universal TV Wall Mount Bracket with Extendable Dual Pivot Arms & Tilt can keep your flat-panel television off the floor for good. It looks tip-top in just about any setting, blending with your TV and home theatre room. Versatility is extremely high, allowing for 5° of tilt up and 10° of tilt down from vertical. The extendable arm has a range from a minimum of just 45mm to a maximum extension of 500mm, and a pivoting end for 90° of rotation left and right (or until the TV touches the wall). With these powers combined, you’ll be able to hit the perfect viewing angle in any environment; no longer subject to the whims of sun glare or interior lighting reflections. Safety is also provided for by screws that prevent the accidental detatchment of the mounting arms. When fully retracted, your television is held 45mm from the wall, and when fully extended and parallel, the bracket will reach a massive 500mm off the wall. Coupled with the -10°/+5° degrees of vertical tilt, there isn't an angle you can't see clearly from. It's constructed from sturdy 2mm thick cold-rolled steel with a black powder coat, so you know it's built to last. It also has the same set of features as most of my other brackets, and you can check them out below! Screen Size: 32" to 70"
Recommended for screens 32" to 70"
Answer: "Yes, this bracket can be used for mounting Plasmas or LCD's in a corner. Just check that you have enough room to mount the back plate on the wall, you will need a minimum of 630mm of horizontal wall space. You will also need to check that your LCD will fit in the corner when mounted on the dual pivot arm which has a maximum extension of 750mm."